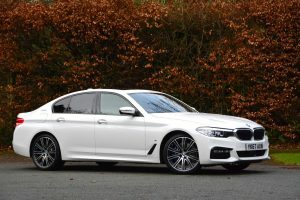 Green Car Guide to the most economical and lowest emission executive cars on sale in the UK today. 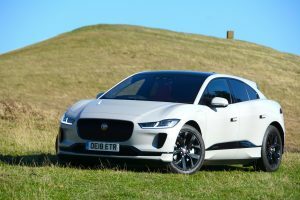 We list our top greenest models in the executive sector for diesel, petrol and best hybrid cars with reviews of the vehicles with the highest fuel economy but also with a blend of quality, style, performance and driving entertainment. The 520d ED achieves excellent fuel economy that shames many city cars. With a brilliant blend of quality, style, performance and driving entertainment, it remains our favourite. 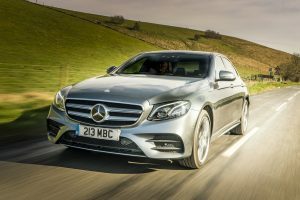 The Mercedes-Benz E200d/220d both deliver excellent official fuel economy, which is highly impressive for such a large and refined executive car. 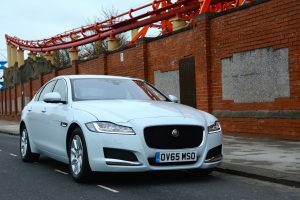 Jaguar has finally got a world class diesel engine and it has found the perfect home in the excellent XF. The Lexus GS 300h uses its petrol-electric hybrid system to deliver an impressive 64.2 mpg, as well as offering a very refined driving experience. 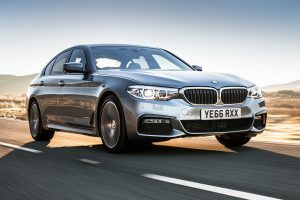 The 5 Series has always been the most engaging executive saloon to drive and the latest version maintains top spot. The 520i blends performance with strong fuel economy and poise making it the ideal choice for enthusiastic drivers. The Lexus GS 450h uses its petrol-electric hybrid system to combine performance and low emissions. Our favourite Exec has got a new party trick, thanks to a plug-in hybrid drivetrain you can now travel up to 28 miles in pure electric mode. It isn’t the most engaging car in the class, but the S90 combines a useable electric range with very good real world petrol mpg, outstanding refinement and comfort. 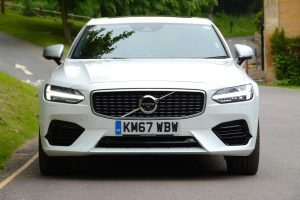 It delivers a uniquely Swedish interpretation of executive motoring with an environmental concussion, and we really rather like it! 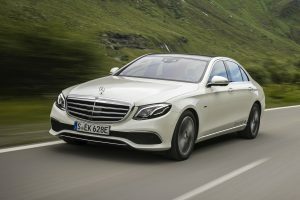 The E-Class is a technical marvel, and with the addition of a plug-in hybrid drivetrain it could also save you a packet in fuel costs. Just make sure you can live with the short electric only range. The Porsche Panamera 4 E-Hybrid has an official fuel economy figure of 113 mpg and emissions of 59 g/km CO2 – this means that this Porsche is exempt from the London Congestion Charge. The Tesla Model S is all-electric and has an official driving range of between 304 and 393 miles depending on the model. It also has a 0-62mph acceleration time that competes with supercars yet it’s even available with 7 seats.